It’s the time of the year when the tropics start getting busy! And not just because of vacationers taking advantage of the beauty of the island breezes. Hurricane season is in full swing. And now that we’re over halfway through the season & the waters in the Atlantic are warmer than predicted, experts are saying it could be a bad year. So what does that mean for us East Coasters? Well, those of us who survived the ravages of Katrina or Sandy know full well what a hurricane (or Super Storm, in the case of Sandy) can do when they make landfall. But what can you actually do to help mitigate some of the craziness? Double and triple check your home insurance policy. Since Sandy wreaked havoc, many insurance companies have been sneaking in gigantic wind deductibles- so sneakily most people don’t know it’s in the policy. AND it’s not just for “coastal” areas! Some companies just gave entire states a wind or hurricane deductible, regardless of how far your house is from the coast. A $500,000 house with a 5% deductible means you pay $25,000 out of pocket before your home insurance will jump in. I don’t know about you, but I certainly don’t want any part of that- and I live over an hour away from any beach area. Quadruple check the home insurance policy for the word “flood”. I guarantee you will find it, very clearly listed and defined- underneath the word “Exclusions”. Both Sandy and Katrina were such catastrophic insurance losses because so much of the damage with each was SO far inland. I mean, we’re talking about low risk flood areas, areas that aren’t “supposed” to flood. Homeowners who said they’d never, ever need flood insurance were flooded, and then had all their insurance claims denied. 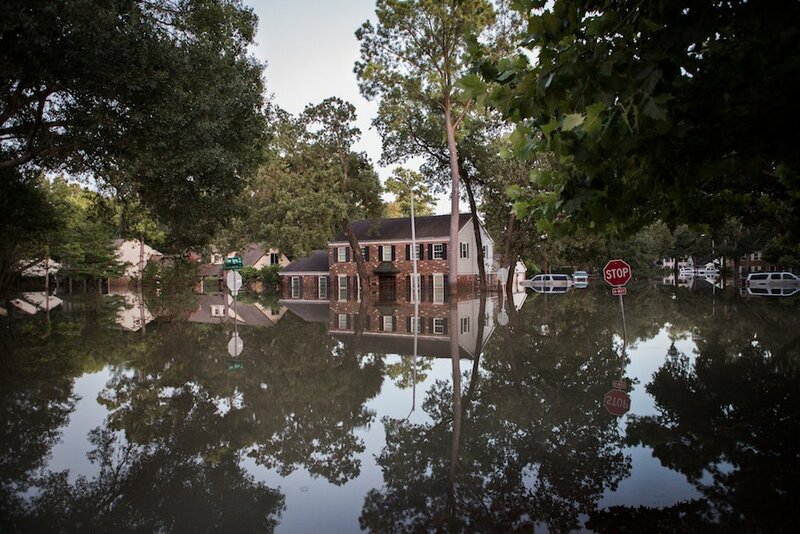 Flood insurance can be pretty inexpensive, depending on where you live. Get a quote, even if you don’t think you need it. That way you at least know. I’ve seen a bajillion versions of an emergency kit/disaster kit/whatever you want to call it kit. It is a really good idea to have one, regardless of its name. Things to include? 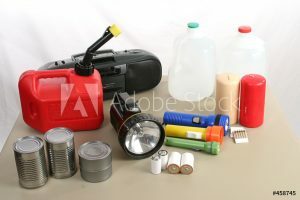 One site actually listed “One gallon of water per day per person; enough for 7 days.” Okay, so realistically a family of 5 isn’t going to store 35 gallons of water and certainly isn’t going to put all that in their car if they’re being evacuated. Still, some water is a really good thing to bring. You figure out how much works for your family. While it’s not a complete or comprehensive list, it’ll get you started. A quick Google search turns up everyone’s opinion of what to pack- you do what you think is best for you and your family. As long as you have SOMETHING, you’re ahead of the game. Previous Post: Do You Need Renters Insurance?